CULEE 2019 – The application form of CULEE 2019 is available now from December 8, 2018 in online mode. Christ University will conduct CULEE 2019 on April 28, 2019. Christ University conducts CULEE 2019 for admissions into the undergraduate law programmes namely, BA LLB and BBA LLB. Candidates would be able to apply for the law examination by April 18, 2019. The university-level law entrance examination, CULEE 2019 will be conducted in offline mode where the candidates will be required to attempt the paper in-person. After the conduct of the law entrance examination, there will be other procedures which will test the candidates and then release the final selection list May 11, 2019 for admissions into the undergraduate law programmes. LATEST - CULEE Application Form 2019 available now! Candidates interested to appear in CULEE 2019 can take an overview here with the information related to application form, eligibility criteria, admit card, examination and result. It should also be noted that the facts and figures in this article of Christ University Law Entrance Examination are as per the official notification issued by the university for the academic year 2019-2020. 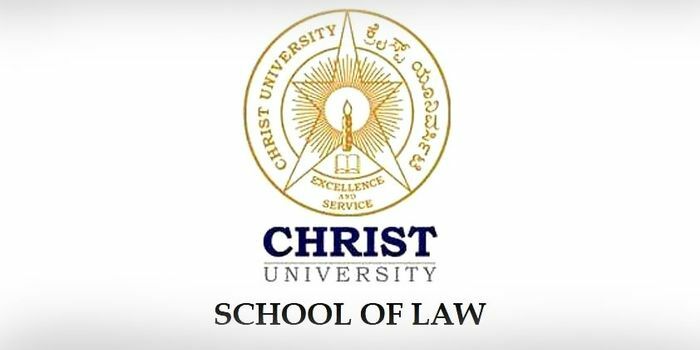 Candidates seeking admission into the undergraduate law programmes offered by Christ University need to appear in CULEE 2019. The process of admission for CULEE 2019 begins with the commencement of the Common Law Admission Test notification which usually comes in the month of December. After the notification, the university announces the application form wherein the candidates are advised to read the eligibility criteria and then proceed further. After the application process ends, admit card is made available to the candidates by April 20, 2019. Admit cards ensure candidates application approval and appearing in the examination. Based on the scores of the candidates, the university releases a merit list in the form of result by May 11, 2019. Candidates appearing in CULEE 2019 are advised to read and understand the eligibility criteria of CULEE 2019 announced on September 29,2018. CULEE aspirants need to know that CULEE 2019 Eligibility criteria mentions the minimum academic qualifications, marks and age criteria needed for applying for the undergraduate law programmes. As per the eligibility criteria of CULEE 2019, candidates need to pass 10+2 from Karnataka PUC/ISC/CBSE/NIOS/State Boards with minimum of 45 per cent of marks in any of the stream including Humanities, Social Sciences, Commerce & Management, Sciences. Candidates to appear in CULEE 2019 need to pass 10+2 from any recognized board of education. Moreover, there is no age bar to appear in Christ University Law Entrance Exam as per Supreme Court’s stay in 2017. Moreover candidates appearing in +2 examinations in March-May 2019 may apply with their class X and XI marks. Christ University will announce the admit card of CULEE 2019 on April 20, 2019. Candidates will get access of the CULEE 2019 Admit card in online mode through their registered accounts. CULEE 2019 Admit card proves to be a valuable documents for the candidates as it is considered to be the hall ticket to enter the examination hall to write the examination. No candidate will be allowed to enter the examination hall without the admit card of CLAT 2019 in any circumstances. Before downloading candidates are advised to check all the details inscribed on the CULEE Admit card 2019. Christ University has announced the exam pattern of CULEE 2019 in the month of September 29, 2018. Candidates will get complete details related to the university-level law examination like the duration of the examination, total marks, marking scheme, paper pattern and the sequence of questions to be followed in the law entrance examination. With the help of CULEE 2019 Exam pattern, candidates will get an overview of the total paper which will help them in the preparation strategies well. After the conduct of CULEE 2019, Christ University will announce the result of CULEE 2019 on May 11, 2019. Candidates will get access of the CULEE 2019 Result in online mode through the link given. In the result of CULEE 2019, candidates will get all the details regarding the result like the name, scores obtained, position obtained and other useful details. Christ University also issues a merit list for the candidates after the declaration of the CULEE 2019 Result. Christ University conducts the counselling of CULEE 2019 after the declaration of the CULEE 2019 Result. As a part of the CULEE 2019 Counselling, candidates need to report to their alloted college and get their documents verified. Candidates also need to deposit the counselling fee on the same day. Along with the counselling, the university also conducts Micro Presentation (MP), Skill Assessment (SA) and Personal Interview (PI) for the shortlisted candidates at different centres of India that will be notified by the first week of May 2019.